Teaching or learning online shouldn’t have to take a backseat just because there’s a dearth of new and interesting content. And good learning resources don’t always come at a price! Thanks to the NMEICT (National Mission on Education through Information and Communication Technology), a project undertaken by the MHRD (Ministry of Human Resource Development), Government of India, we have access to a range of modules of various subjects free of cost. 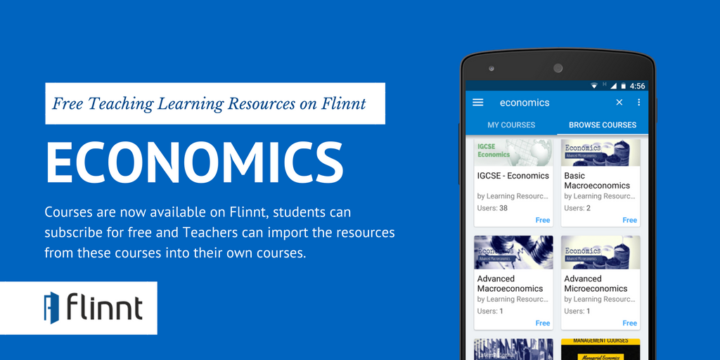 For ease of use, we have adapted the available content into Flinnt courses for Learners and Educators. Learners can subscribe to these public courses for free and Educators can import the content into their own courses to teach their students. Hope you’ll find this initiative immensely helpful. Happy Flinnting!